Let's shop for some knit garments.True spring essentials, that go long way and are open to many wonderful combinations. What we have for you today is a sleeveless knit tunic with a turtleneck collar in gentle brown color that perfectly combines with tight leggings, drop crotch pants or even shorts. Long, almost a dress size, with slits that start as high as the waist, and a shorter version which is great over jeans. Another pretty knit thing to don and flaunt your bod in is a sleeveless V-neck knit dress, that comes in classic black and tender beige. It glides past your curves, caressing the body in a gentle way while leaving an impression of lightness and grаce. 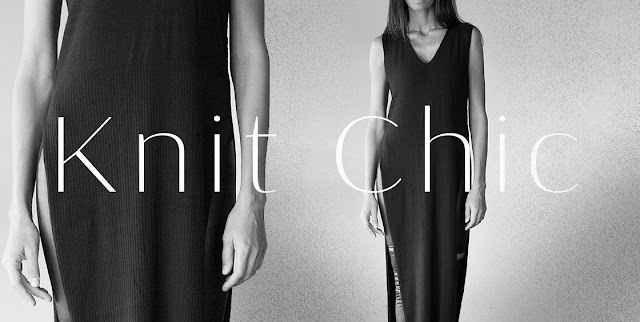 In both sleeveless garments, the striking contrast between the naked arms and the knit material is very seductive, while also emphasizing the bust in a wonderful way. A suggestion with more options is a long knit skirt - a simple elegant solution with a top and some unforgettable accessory, such as a roll purse. There is a black pair of knit drop crotch pants with a similar vibe. 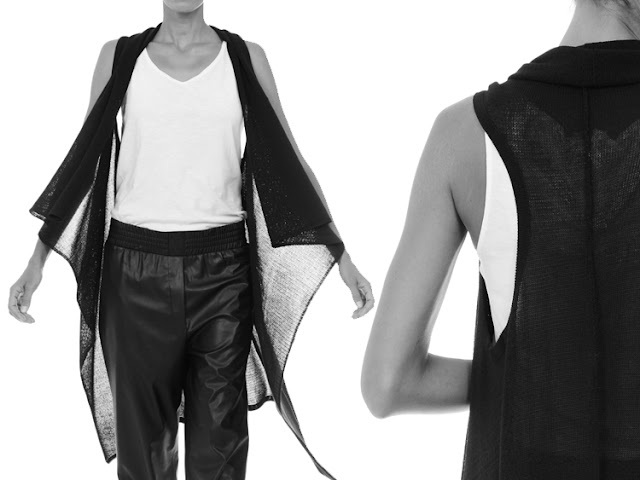 And to top it all: a light throw-on sleeveless vest for the evening when a coolness still permeates the air. It is a staple in the spring wardrobe, an exquisite addition to the outfit, that can enhance and accentuate the quirkiness without being too much. All these pieces are so intrinsically feminine, exuding charm and sunny chic. Light and floaty knitwear, the perfect spring garment.